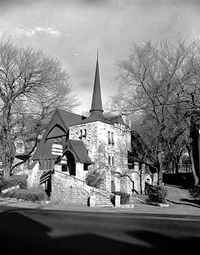 A classic Shingle-style design, the Virginia Street Church is among the more innovative of Gilbert & Taylor's churches. The foundation is constructed of fieldstone. The arches in the porches include Richardsonian details done in wood. The tower and belfry proportions seem quite original in design. The top decoration on the tower originally was a rooster, and it was restored in 2001. Hammerbeams support the barrel-vaulted ceiling of the intimate sanctuary. Double-hung, leaded-glass windows in the north and south walls are original. The windows have a border of amber-colored bottle-bottom glass. The top sashes carry diamond-shaped panes, and the lower sashes are composed of small square panes. Yellow and blue are the predominant colors. The windows on the west facade have been replaced. 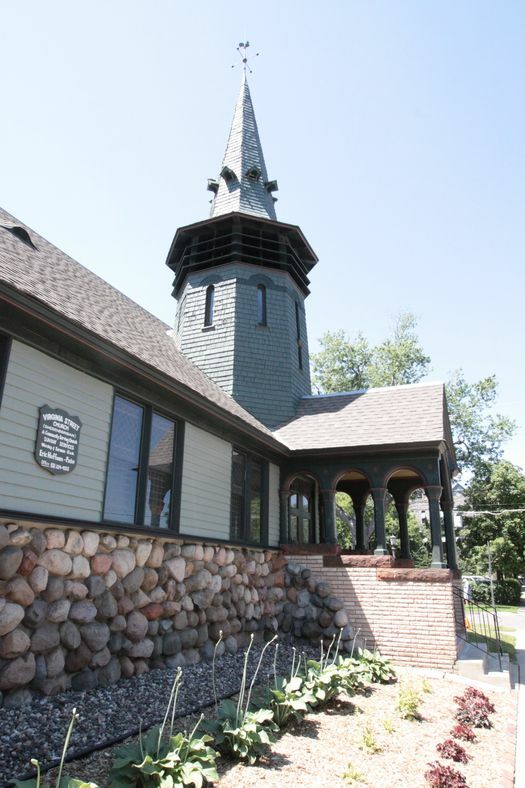 Gilbert & Taylor used the Virginia Street Church tower design for two other churches: the South Park Congregational Church (1887) in South St. Paul and the Camp Memorial Chapel (1888) in Minnetonka Beach. 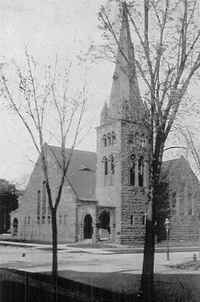 Gilbert & Taylor designed the Virginia Street Church for a Swedenborgian congregation, to which many prominent St. Paulites belonged. 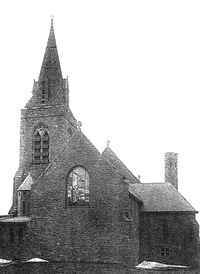 Several of the congregation's members were originally from Boston where the Church's seminary is still located. Lucy Fricke, the daughter of one of the church's founders, recalls that both additions to the east end of the building were done by Holyoke. The building permit lists Holyoke as the architect for the first addition. No architect is listed on the permit for the second addition.